1. Tell us about yourself – when did u begin doing this and how did u think of getting into this line? I started practicing henna about three years ago after many years of getting tattoos done at festivals. I was fascinated by the art and the impressive history that accompanies traditional mehendi designs. I had always thought of myself as artistic, and decided to try making henna paste to practice on myself. It took some time to master a method of application that worked for me, but I have been loving it ever since! 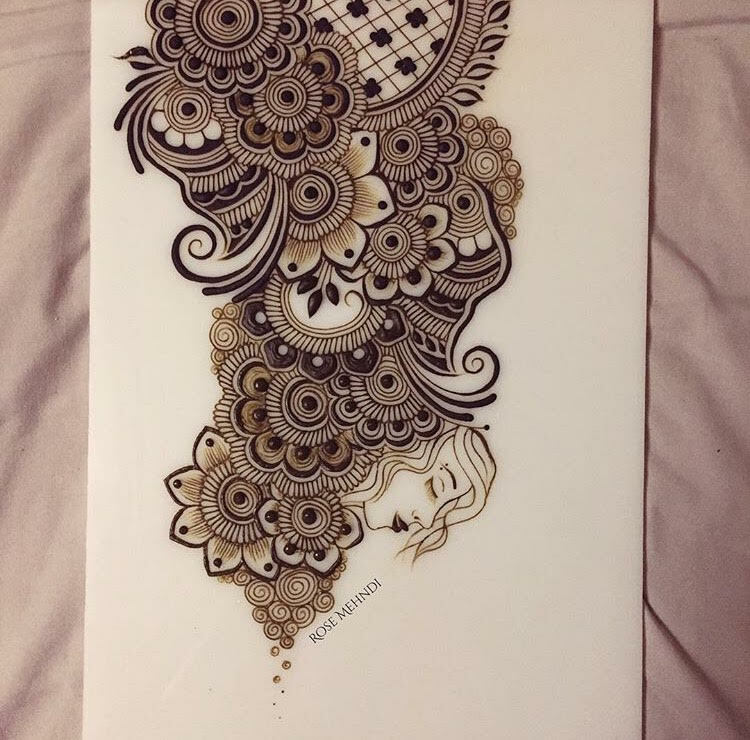 Most of my inspiration comes from henna artists I come across on Instagram, or my own work from the past. I am constantly working to improve my skills and fashion new ideas for designs. The patterns I create usually have a floral aspect, or a more traditional approach depending on what my clients would like. I hope to incorporate Gulf and Arabic henna styles in the near future. 3. Most memorable experience you had while doing mehendi designs? Something that has stayed close to your heart and is remembered very fondly? 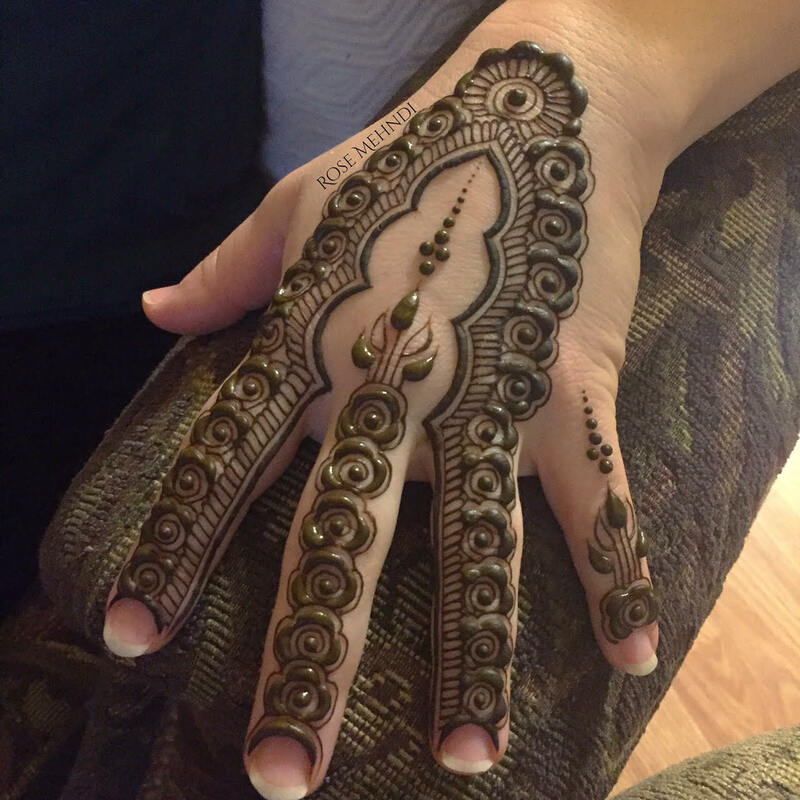 Near the very beginning of my henna journey, I had only ever applied mehendi to close friends and family. I was overjoyed when a woman who had noticed my work requested that I apply a henna tattoo for her with her children’s names incorporated into the design. She was very pleased with the final result. I hold this experience close to my heart as it was an honor to have done mehendi for the first time on a client. After your mehendi has been applied, the most important steps you can take are to keep the paste on for as long as you can (overnight is best), and stay warm. Henna LOVES heat, so I recommend keeping your tattoo warm by an oven or heater. Once the paste is off, water must be avoided for the first 48 hours. This will allow your stain to fully mature in time for your event. Anything that could cause exfoliation of the area causes your stain to fade. So take care of your skin! 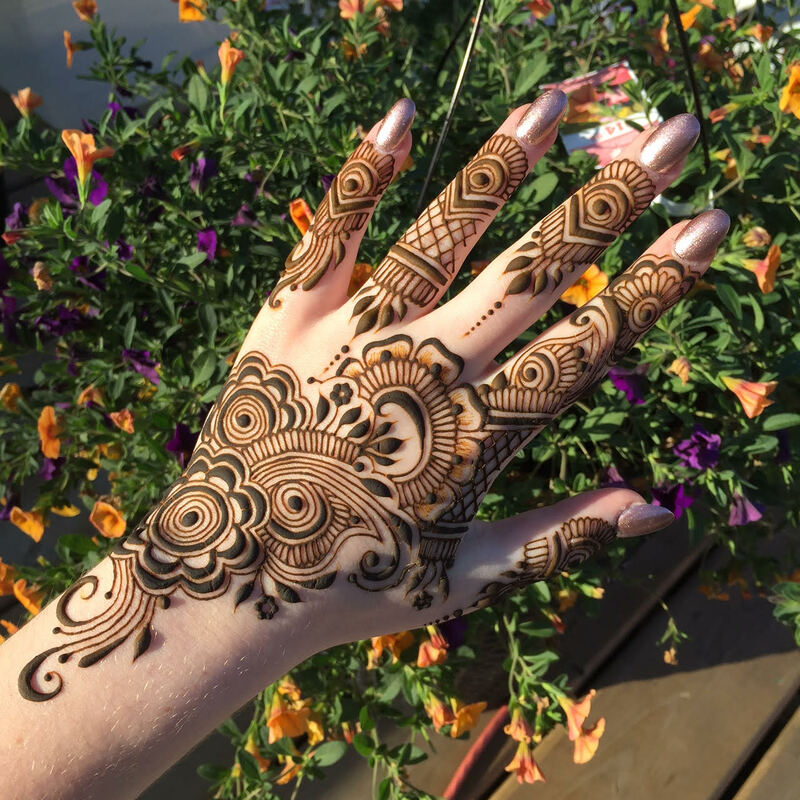 A moisturizing balm can do wonders for protecting your henna. You can email me at mehndibyemma@gmail.com, or check out my Instagram and Facebook for more of my work. 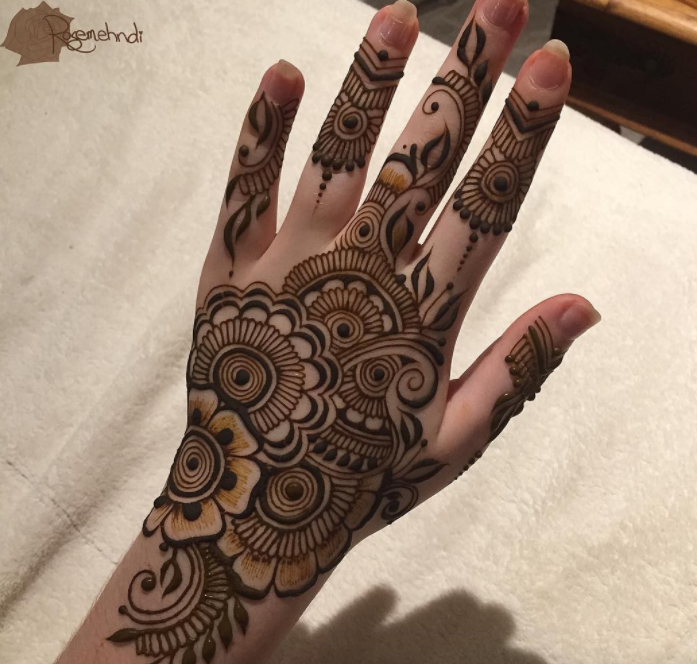 Enjoy mehandi designs by Emma Clarke. (Published with permission of Rose Mehndi. Please don’t use these images without permission from the original source).